Shipping worldwide from our US and NZ warehouses. SOLD OUT in our EU warehouse. On their quest to reclaim the Lonely Mountain, the company of Thorin Oakenshield encounter a trio of gruesome trolls. Bert the Troll takes great pride in his role as the group's cook. Though he fancies himself something of a gourmand, Bert's culinary experience and inspirations fail to elicit praise from his companions, William and Tom, who complain that all his meals taste the same. The proverbial floater in Bert's stew is the wheedling Tom, whom he cannot stand and takes every opportunity to berate or thump with his oversized ladle. 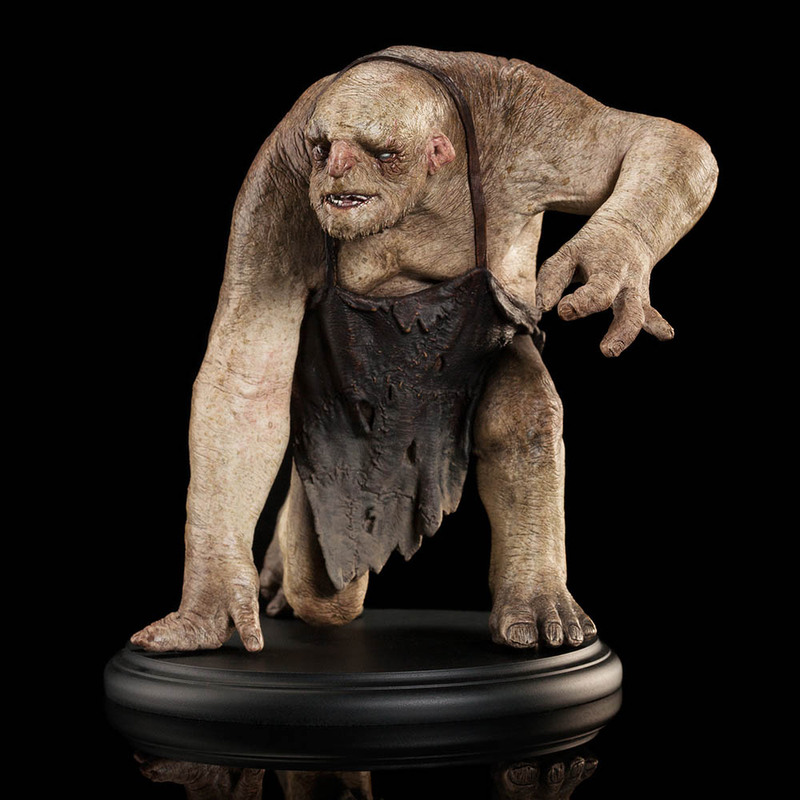 Part of a set of the three Trolls from The Hobbit: An Unexpected Journey, Tom and William are also available to display together. 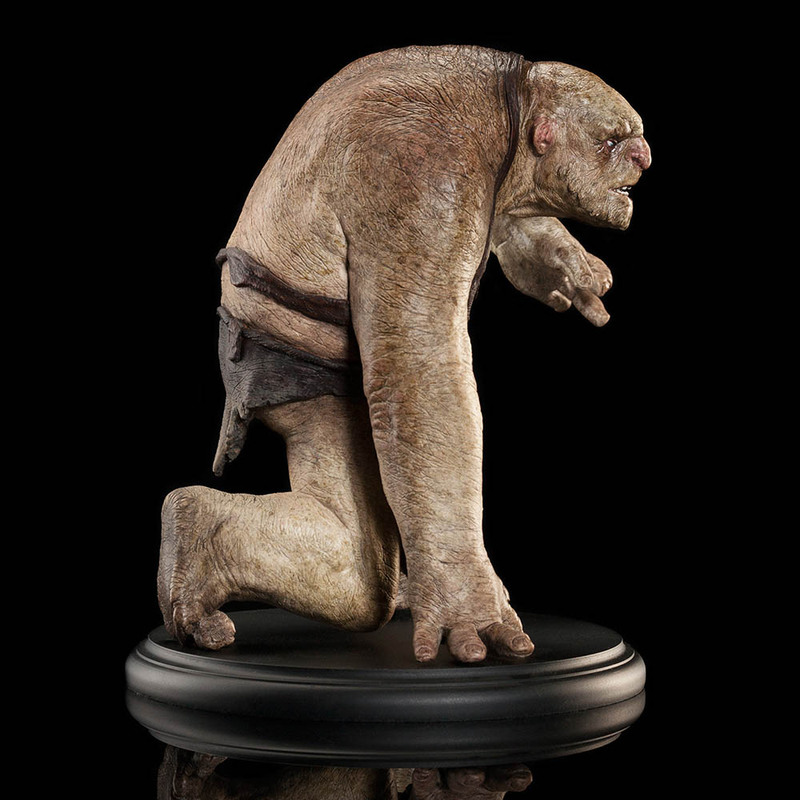 Bert the troll was played by Mark Hadlow in The Hobbit: An Unexpected Journey. 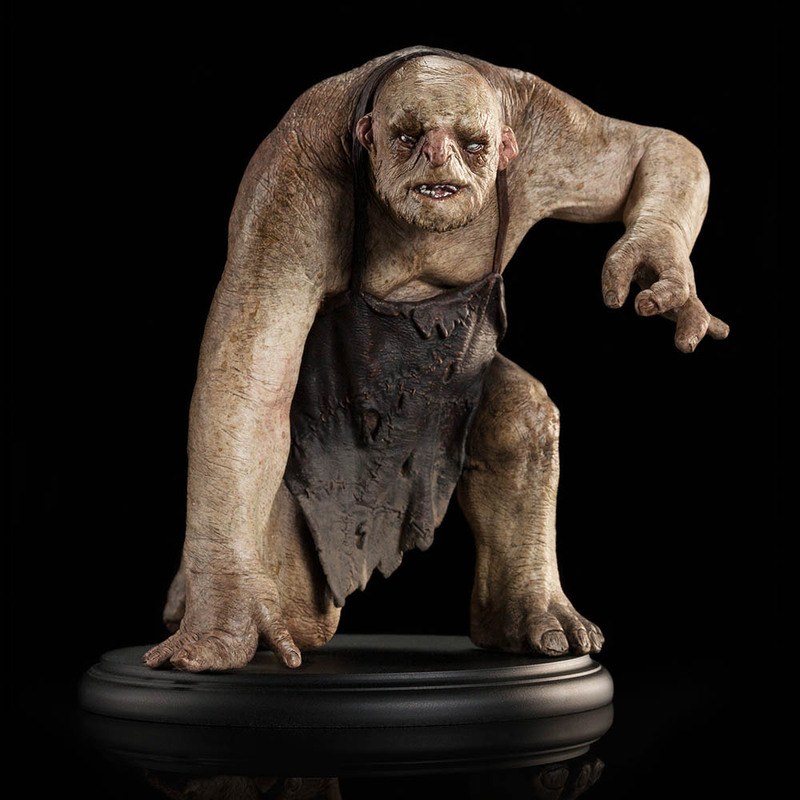 He is presented as a finely detailed miniature collectible designed and sculpted by Weta Workshop creature designer Andrew Baker, who made the conceptual designs for the trolls and other creatures in the movie. 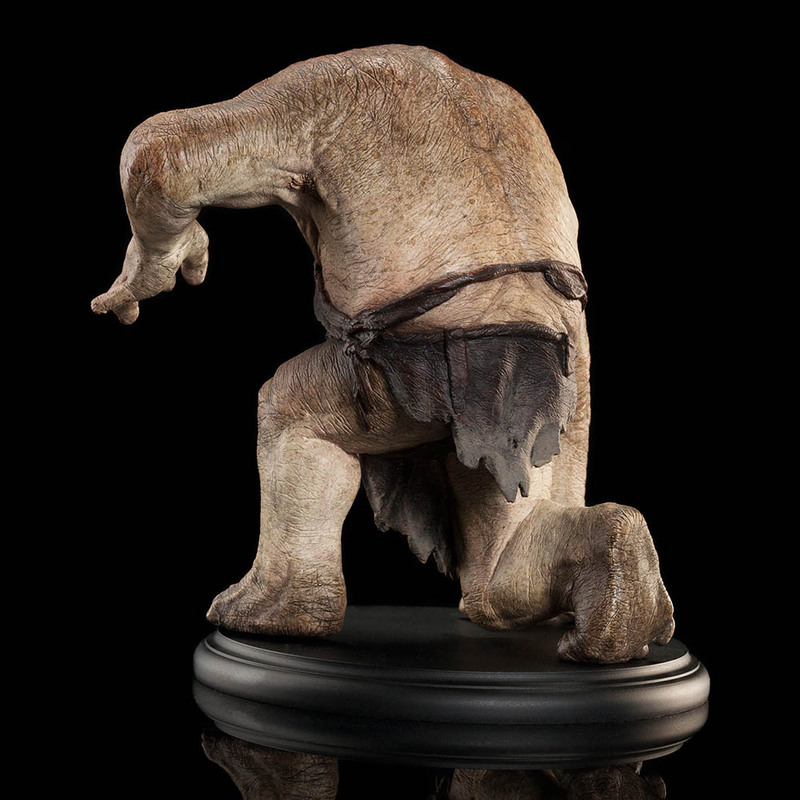 The pose may look familiar to those who have seen the three well travelled trolls who visited San Diego Comic-Con 2012. They attended the red carpet at the World Premiere of The Hobbit: An Unexpected Journey in Wellington later that year and then took over the main foyer at New Zealand's National Museum, Te Papa. 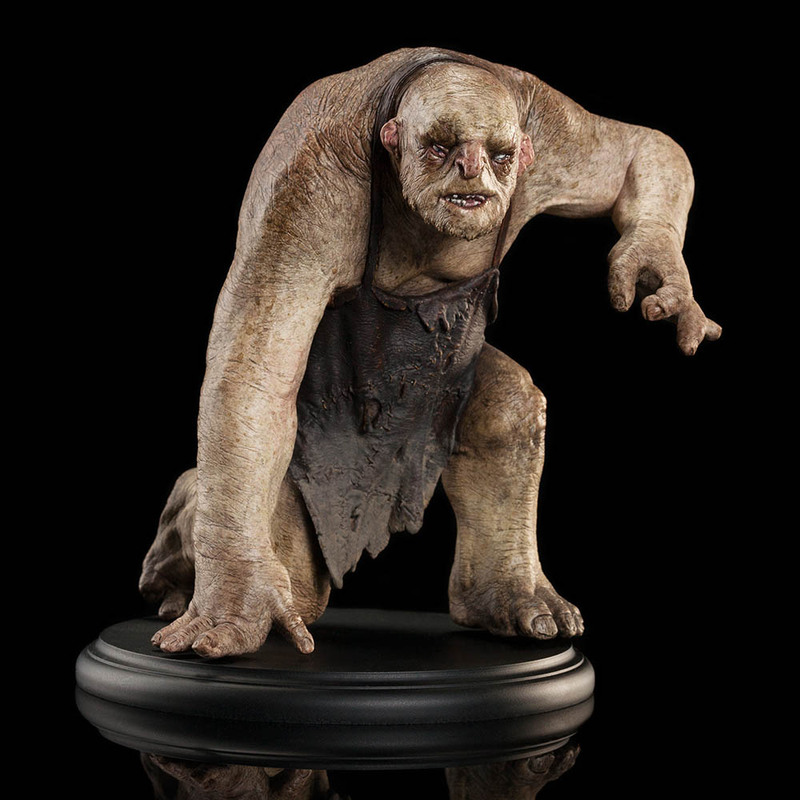 They have since settled outside the Weta Cave retail store in Wellington, New Zealand! Bert the Troll is an Open Edition piece. Please note: images are of a pre-production prototype. Each statue is hand painted and minor variations will occur.